Assistant Roastery Manager, Tim Cole helps manage the day-to-day operations at Canterbury Coffee’s Richmond Roastery in BC. Tim began at Canterbury Coffee over a decade ago, working closely with Q-Grader and Roastmaster, John Gray and has been the Production Supervisor at Canterbury since 2013. Most recently, Tim has earned a place on the list of Canada’s Q Graders, after a battery of 22 exams. This series of exams has only about a 25% success rate, even though thousands of coffee professionals pursue the accreditation each year. 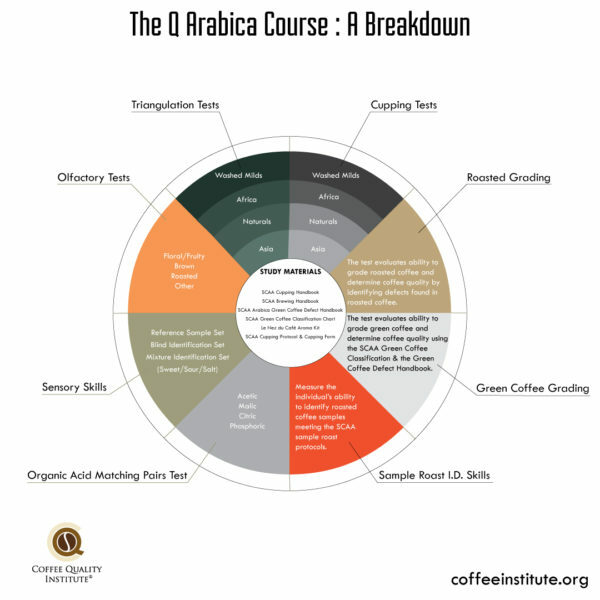 The Q Arabica course covers topics from sensory skills, olfactory tests, triangulation & cupping, roasting & green coffee grading, sample roast ID skills and organic acid matching. The sensory skills test, measures coffee professionals’ ability to identify sweet, salty and sour tastes, as well as the concentration and combination of each type of taste. Another exam, triangulation testing involves a variety of coffees in groups of three all brewed the same way. They are laid out so that two coffees are the same and one is different. The challenging part is to see if you can taste the coffee that doesn’t belong. This test is done with coffee beans from the same region, such as African coffees, or the same processing method, such as natural coffees. As you can see, these exams are not only about the day-to-day tasks and techniques associated with being a coffee roaster, but they are also designed to develop a highly sensitive palate and coffee tasting ability. 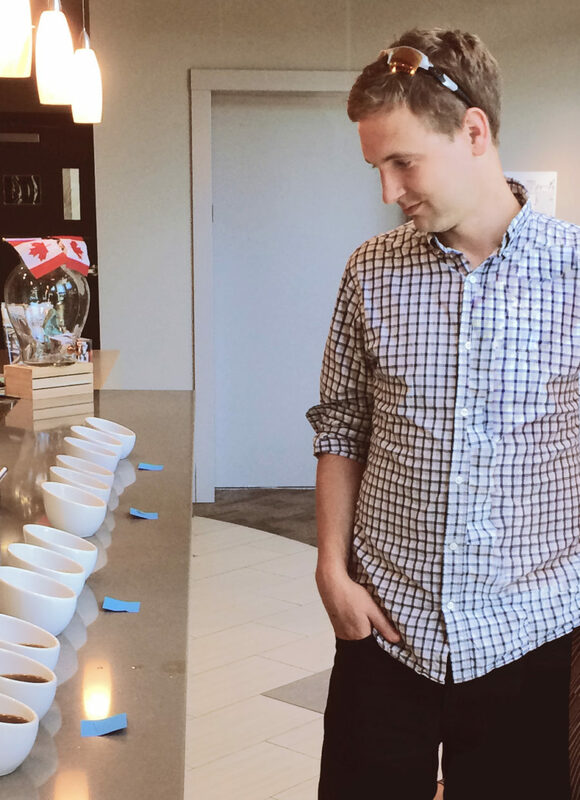 These exams evaluate competency and sensory acuity in a number of areas closely associated with coffee cupping and grading. We’re very excited to now have two of Canada’s certified Q Graders here at Canterbury Coffee. Well done Tim!